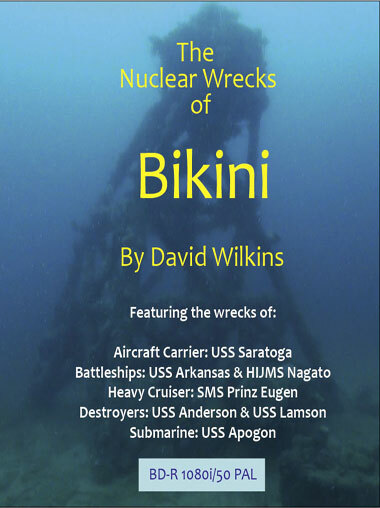 The US atom bomb tests at Bikini Atoll in 1946 gave rise to some amazing wrecks. 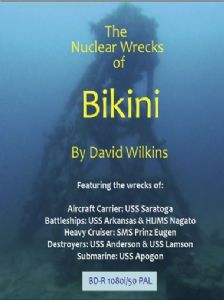 This video features the wrecks of the aircraft carrier USS Saratoga (one of the few diveable aircraft carriers), the Japanese battleship Nagato (flagship of Yamamoto during the attack on Pearl Harbour), the battleship USS Arkansas, the German heavy cruiser Prinz Eugen (which sailed with the Bismarck), the destroyers USS Lamson and USS Anderson, the submarine USS Apogon and the attack transport USS Carlisle, together with surface footage. Available on Blu-ray and DVD. You may view excerpts below.